While incredibly lucky to have won the lottery, historic Powerball jackpot winner, Mavis Wanczyk might not be as fortunate in terms of relationships. Wanczyk beat unimaginable odds (about 1 in 292 million) and was the sole winner of the $758.7 US Powerball jackpot back in August 27, 2017. Without any other winners to share the prize with, she took home about $336M after everything was said and done. Guess who else Wancyzk wasn’t sharing her winnings with – her former lover of 15 years, as well as her ex-husband as it turns out. In this recounting of Wancyzk’s story, read about how Wanczyk won the record-breaking prize, her life before the win, and how things changed for her. Full story below. 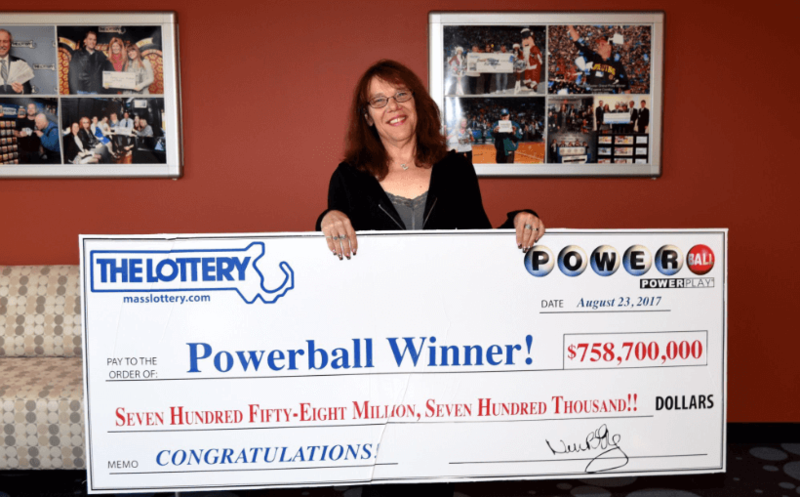 53-years-old at the time of her win, Wanczyk was the only winning-ticket-holder of the $758.7 US Powerball jackpot in August 27, 2017. 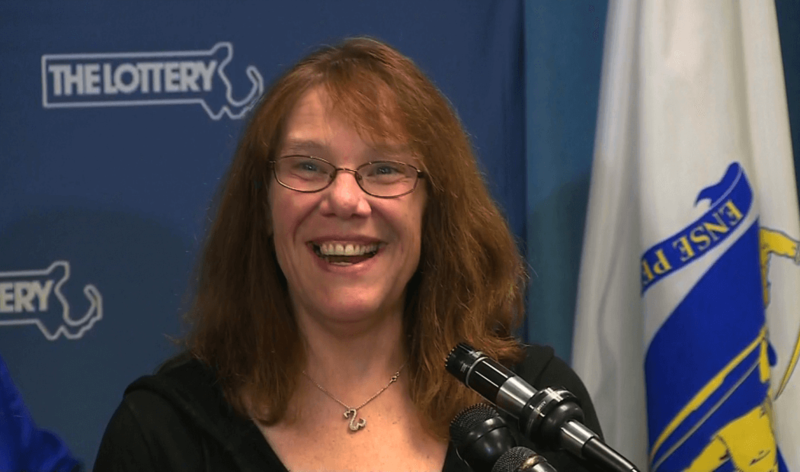 The mother of two from Southbridge, Massachusetts, took home $336,350,655 after taxes, now the second-largest lottery prize ever taken home by a single winner. Wanczyk, who goes by Mave, bought her winning ticket four days before the draw from a Pride Station & Store in Chicopee. The winning numbers were 6, 7, 16, 23 and 26, and the Powerball number was 4. A firefighter friend named Rob was the one who told her she had won the massive jackpot. Wanczyk used to work at Mercy Medical Center in Springfield, Massachusetts. She worked in patient care for 32 years, before finally quitting her job immediately after her big win. In her press conference, Wanczyk revealed that she “called them and told them [she] will not be coming back,” when asked about her plans on whether or not she would keep her job. Wanczyk was once married to William Wanczyk, the father of their two children – Billy Jr. and daughter, Marlee. He was a firefighter with the Northampton Fire Department from 1986 to 1989, and retired due to an injury. The couple eventually split sometime in the 90s and their divorce was finalized in 2012. 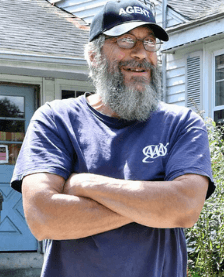 William Wanczyk tragically died in a car accident back in November 2016, after being struck by a speeding pickup truck while waiting at a bus stop. After her marriage failed, Mavis Wanczyk met Richard Lord, another Massachusetts resident she became involved with romantically. That didn’t last, however. In August of 2016, just a year before Wanczyk made lottery headlines, Wanczyk and Lord ended their 15-year-long relationship. When asked about why he never proposed to the would-be millionaire, Lord revealed that his previous marriage left him with barely enough to eat, and that he wasn’t in a hurry because of it. He goes on to explain that he is not bitter at all about how things turned out between the two of them. Wanczyk is a resident of Chicopee, a city in Hampden County, Massachusetts. She lives modestly in a two-bed apartment on the top floor of a converted family home. Soon after her identity was revealed to the public, her neighborhood was met by an influx of strangers trying to find her home address. Police reports indicate that people were going door to door, asking about where Wancyzk lived. This prompted the police department to send security officials to Wanczyk’s home to keep an eye on things, as more and more media personnel and other people flocked to the area. It is currently unknown if Wanczyk still resides in the same address. As expected in cases like Wanczyk’s, multiple social media accounts impersonating the lottery winner began to appear online. With her identity having been made public, crooked individuals exploited the buzz surrounding Wanczyk’s name – promising money, in exchange for individuals’ personal information. Up to this day, dozens of fake Mavis Wanczyk accounts remain active on Facebook, Instagram, Twitter, and other similar platforms. Remember to avoid these impersonators and other similar scams. Other big-time lottery winners who are unable to protect their anonymity often find themselves (or at least their names) right in the middle of similar situations. 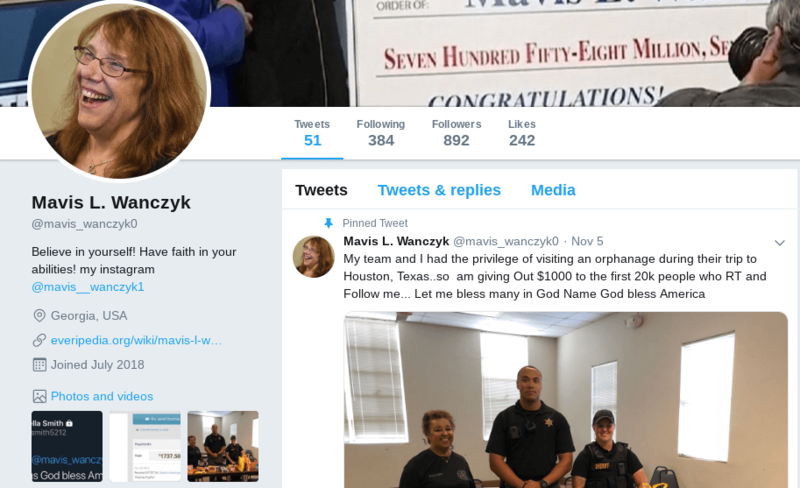 From fake Oprah Winfrey Tweets, to fictional Mavis Wanczyk Foundations and email phishing scams, Wanczyk’s name has seen its fair share of the most common internet scams. In response to this, the Chicopee police department has issued the following warning on their Facebook page. So what has she done with all that money? Mavis Wanczyk’s current net worth isn’t known by the public – and will most likely stay that way. If luck continues to stay on her side, then she has probably found ways to secure her wealth for herself and her family’s future. The real Mavis Wanczyk was indeed, at one point, an active user of Facebook. Since her win however, dozens of fake profiles claiming to be the lottery winner have surfaced and remain to be visible to the public. Any email addresses, social media accounts, etc., claiming to be the real Mavis Wanczyk are likely run by scammers or con artists. Additionally, judging by the lack of any current news on her status, it is most likely that the real Mavis Wanczyk has stopped using her social media accounts altogether. And we all know that’s exactly what didn’t happen. Wanczyk’s security was put under greater threat the moment she had gone public. Strangers looking for her home, people impersonating her online – it was exactly the kind of attention she didn’t want to attract. Set up a trust to receive her winnings and maintain her anonymity. Although Massachusetts law requires lottery winners’ identities to be made public, this is a legal way Wanczyk could have taken to protect her identity. At least wait for the hype to die down a bit. This one’s pretty obvious. Wanczyk wasted no time in claiming her win and stepped forward merely days after the winning numbers were announced. At the end of the day, however, I’m pretty sure Wanczyk has no regrets. With that kind of money, it’s hard to imagine otherwise. Finally, take a look at our article on what things to do after you win the lottery, for more suggestions on how to handle such an unexpected event.